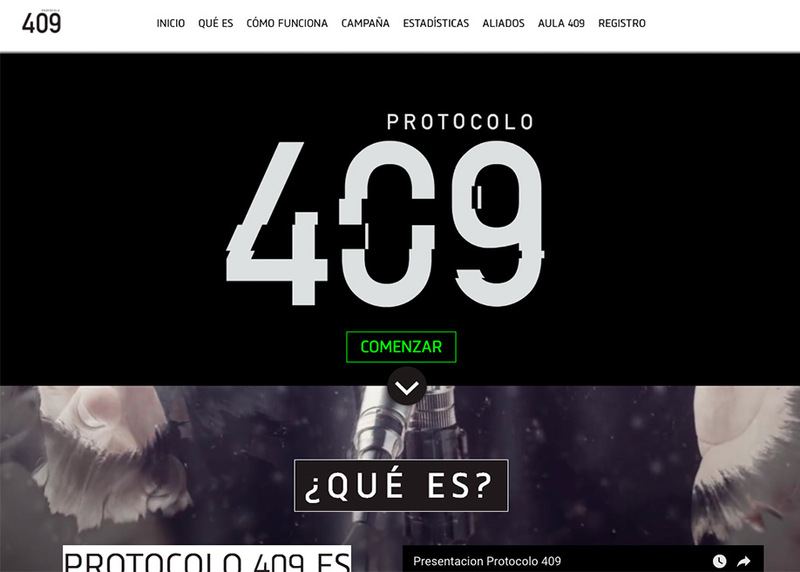 Protocolo 409, a web app specially created for ITEI (Jalisco's state transparency institution based in the second largest city in Mexico, Guadalajara) that has one primary objective: to make easy for the public to understand why governmental transparency is basic for all the people and for their rights. The path we decided to take was to automatized and make visible the corruption complaints, after a long and exhaustive Jalisco's law revision, we built a flowchart for the process, that later turned into the sitemap. We took the name of Protocolo 409 from the error in the internet browsers (similar to the famous 404) that send this message to communicate that a fault was found to the rules in the system, in other words, a corruption act was detected. Our system also seeks to be a way to warn of a violation of the rules, but in this case, in the political system, so we built a campaign, and therefore, the graphic identity of the tool, under the glitch aesthetics and the narrative of social protest, with which we seek an appropriation of the tool, rather than an institutional application, as a citizen mechanism to combat corruption acts from politics and public officials.